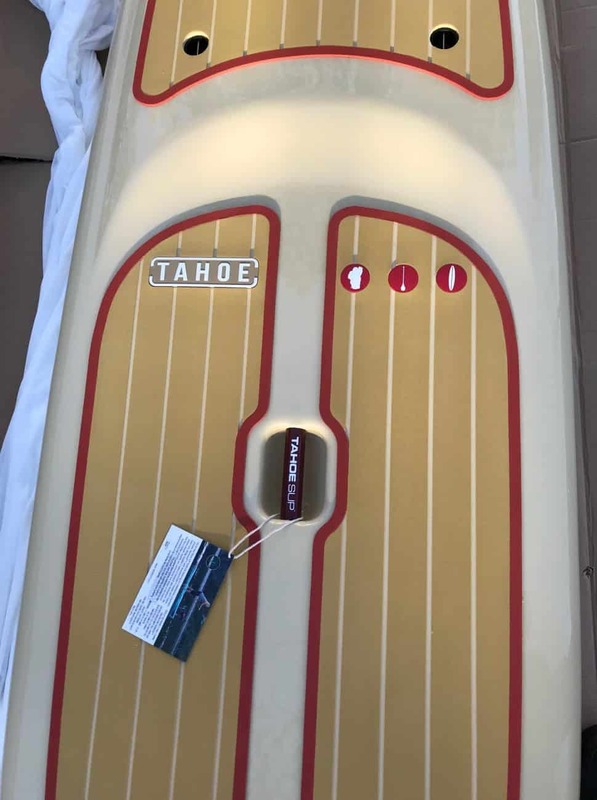 I was fortunate enough to be contacted by Nate form Tahoe SUP and asked to test and review some of his boards. I happily said yes and after riding them all for a while, I am excited to tell you about them. The first being the PaddleCraft and then we will talk about Zephyr and the Tahoe Bliss in another article which I will hyperlink here. 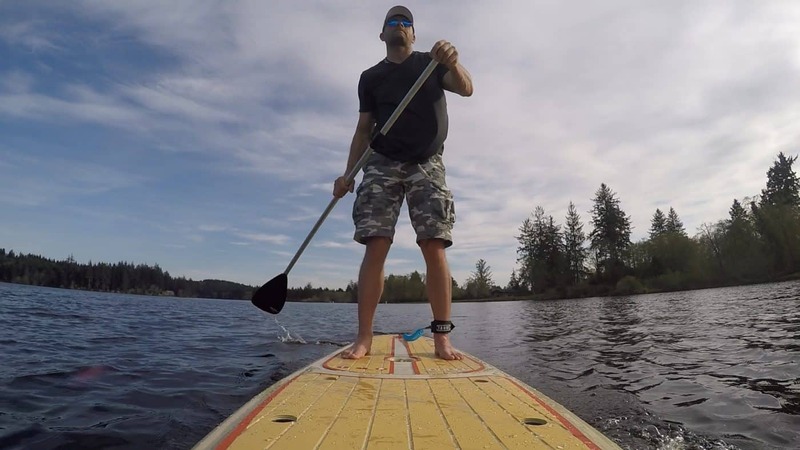 Now just so you know, I do not claim to be a pro paddle boarder, I am just an everyday guy who loves paddle boarding so I will be giving you my thoughts about the board from an everyday average enthusiast perspective. Now it did come fully padded with foam but I pulled that off. As you can see it has a nice sock that is thin (beside the board) that helps protect it from scratching. 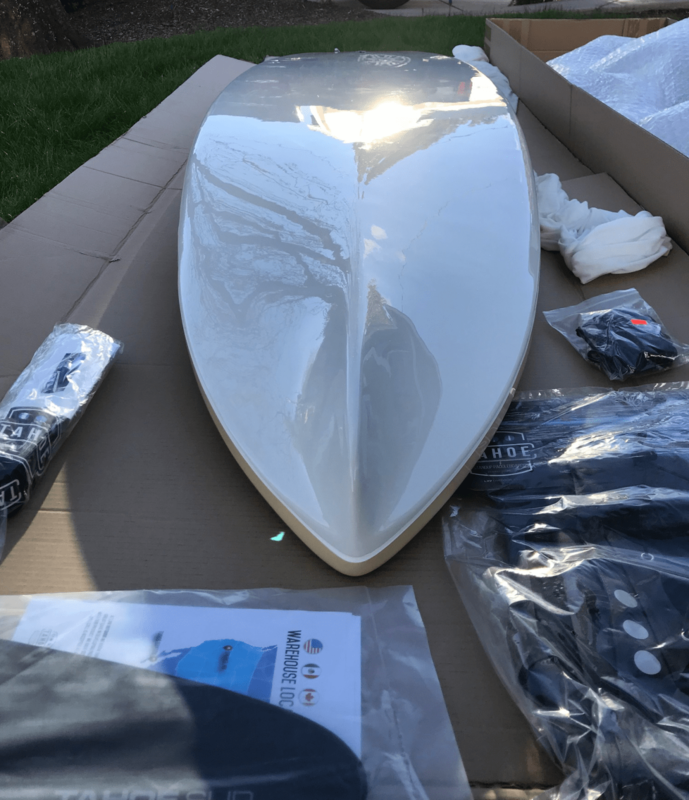 On the side of the box was the 10″ fin and then they happened to throw in a Tahoe SUPack for me to try out (thank you!) as well as their Tahoe SUP Leash and a deck net. Koreguard is a proprietary construction process that was developed over a span of 3 years of rigorous testing. It uses a mix of composite materials and thermoformed ABS sheets to create a super durable and maintenance free resistant board. This process is a very eco friendly and cleaner process than most. It also has the upside of not using as many consumables in production process as they recycle all of the ABS off cuts. As I said before they sent me 3 boards to try (I was only expecting 2) and this was the first one I opened. I knew what the other 2 were, but I had no idea what this one was. My first thought was wow, this is a beautiful board. I love the handle (all boards should have a handle as nice as this one!). Not sure why I was freaking out about the handle, but I am so used to “less expensive” boards that have a slot in the middle and sometimes your fingers hurt or get tired if you have to carry it a long way. With a nice handle, it is so much more comfortable and easy to grab. I carried this around for a while and enjoyed it very much even with it being a heavier board. The one fallback I would say about the handle is that it could have been moved maybe an inch or 2 more towards the front of the board as it likes to tip forward (nose heavy), especially if you add a SUPack to the front. 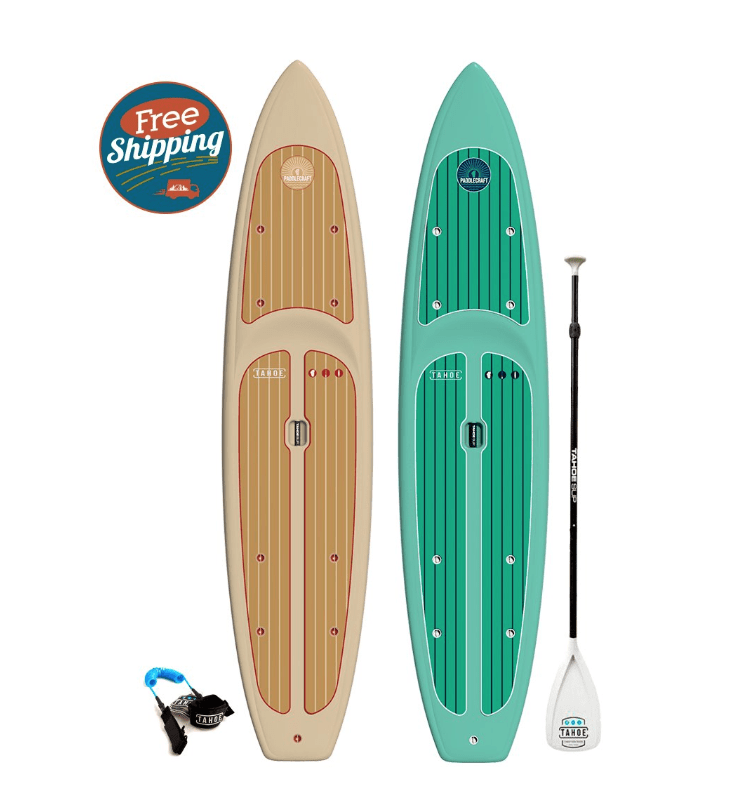 The colors and design of the board is beautiful and really makes it feel like a $1,600 board (which I thought it was as I didn’t know the price) and then I was shocked when I saw that it was a $900 board. If you lined this up next to the Zephyr and asked me which one probably costs more, I would say the PaddleCraft based on looks alone. This is in no way a slight on the Zephyr, just my initial thoughts without even knowing. I love the sunken deck where you stand and the lines on this are just so pretty. I didn’t put down a thickness for the board because it varies throughout the board so there is no consistent thickness. It is 2″ thick at the tail, 5″ thick in the middle and I have no idea for the front with the hull being tapered and pointed. The deck pad is sooo nice. It is soft yet not too soft and has excellent grip. It is comfy on the feet and I even got it dirty but it cleaned right off. It also has appealing colors that really match the board. The design team did well with this board. So Let’s Get To It, How Does The PaddleCraft Ride? We could talk about looks and specs all day but how does it perform right? As you can see, I had it out on a fairly nice day with only a little chop and little to no wind which always makes a huge difference. My first thought was how stable it is. I weigh about 190lbs and when I hoped on it, it barely sunk in the water at all. I see why some people use these for fishing because I can see putting a cooler or 2 on it using the D-plugs to tie them down and it wouldn’t be too much weight. I always tip the boards I ride side to side to see what I can get away with and you would have to actually try to tip this over to fall in. I would give this to anyone to learn on as it feels that stable (to me anyway, please judge for yourself). When paddling around, the board planes really nicely through the water and it can keep a nice straight line much better than a typical flat bottom board would. The only reason there is even water on the deck of the board is because I was splashing my feet with the paddle to keep cool. It would be easy to stay high and dry on this board. As far as speed goes this board isn’t built for speed so obviously it will be slightly slower than compared with a board like the Zephyr. Thats not to say it is slow, I can get around a lake pretty quick with this and in comfort. Not to mention this weighs more, so it is about a 7 out of 10 on the speed scale (which is still pretty high). I wasn’t really concerned about speed with this because that is not why you would buy this board. 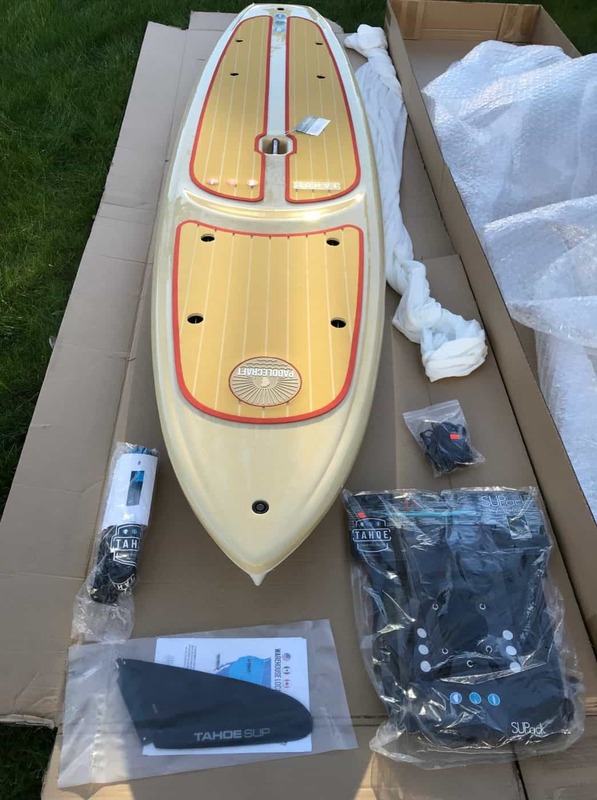 I would buy this board because it is beautiful, It is stable, I can use it for pleasure paddling which I feel most people are out to do. It is very comfortable and can handle extra weight. With all of the deck plugs you can carry or strap down just about anything. 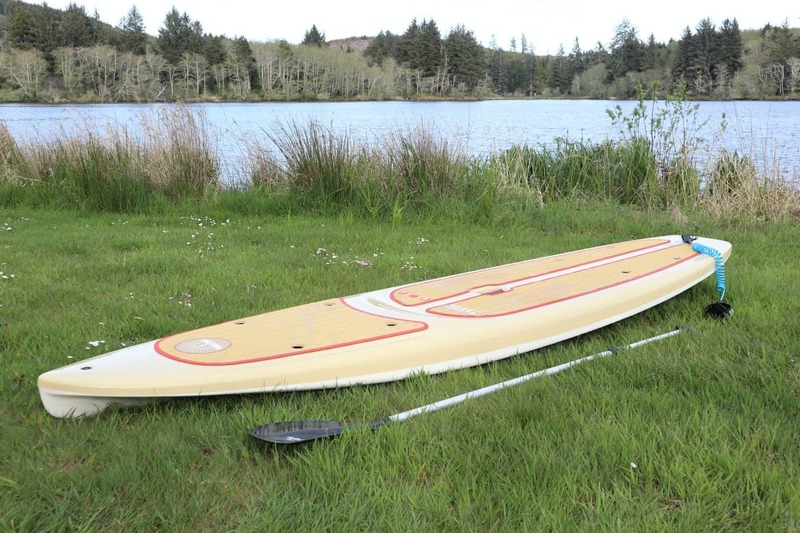 It is just a fun, good looking all around stand up paddle board. I think all skill levels can use it and enjoy it and you won’t break the bank too badly to get a nice quality board that you will have for a very long time. I’m going to call this one the “swiss arm knife” of paddle boards because it does a little of everything and does them all well. You could probably use this for paddle board yoga as well, but I would probably want a completely flat deck with a full pad. That is just me, obviously you can probably still do yoga on it if you wanted to bad enough! 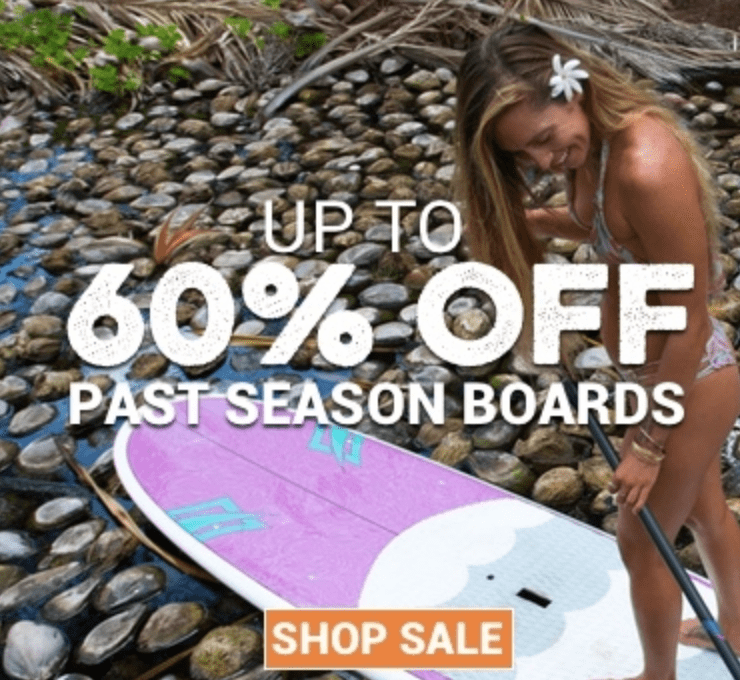 Thank you Nate and Tahoe SUP for making me want to spend money and buy your boards….lol. But seriously, This is a great board and thank you for trusting me to review it as if it was bad or had flaws, I would be honest and let everyone know, but this is really a great board. 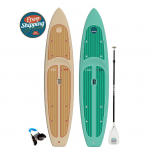 I really love the look of the Seas foam green board in this model as well, so be sure to check that out here. I look forward to reviewing the next 2 boards, the Tahoe SUP Zephyr, and the Tahoe SUP Bliss in fuchsia. We will see how these touring boards live up to their reputation. Thanks for reading and be sure to ask questions or comment below!